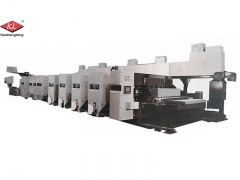 High speed corrugated carton feeding machine with PFA series prefeeder, using full-automatic prefeeder system, creating the convenience for people. 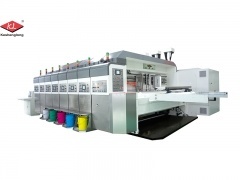 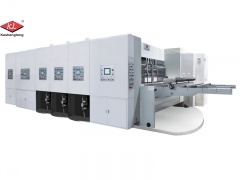 ·This prefeeder is suitable to any type of top or bottom printing machine. 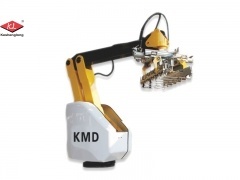 ·Intermediate warehouse ensures the sheets quantity required for the not stop production at the most high speed during the pile change. 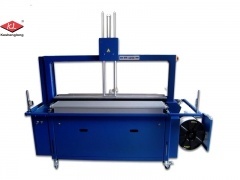 ·Group provides the shingling of cardboard sheets ensuring perfect alignment through the two side joggers. 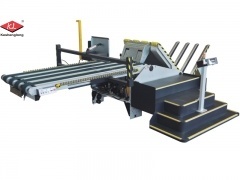 ·Group telescopic belts adjusting the length function of sheets board and ht is equipped with front joggers. 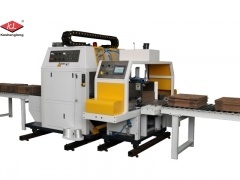 ·The area need to remove the pallet or sheets scrap,also allows a safe passage through the machine for operator. 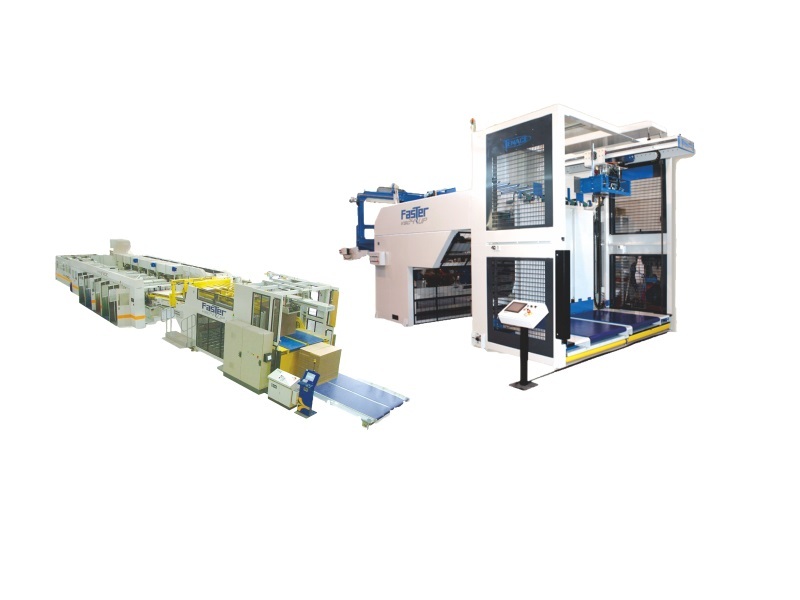 Best selling high quality automatic palletizing robot machine manipulator via China PLC controlled automated palletizer touch screen operation, moving grabing products instead of people, which is convenient and saving much labor. 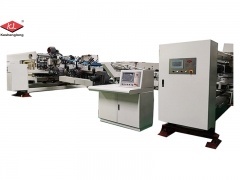 Strapping machine fully automatic, applicable for the binding of corrugated carton boxes. 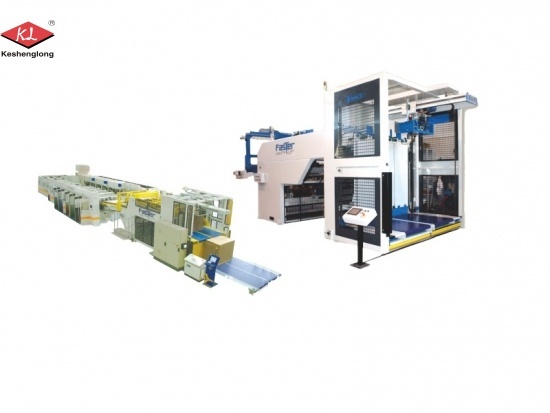 These Pe Automatic Carton Strapping Machines insure stability, strength and maximal efficiency. 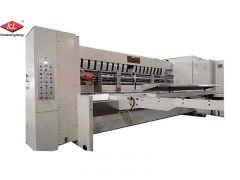 Automatic vertical strapping machine adopts PLC control and electric driven, high-speed working, saving labor and with high working efficiency. 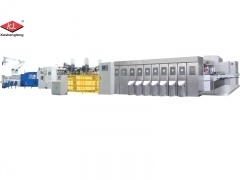 In Keshenglong, this prefeeder batch feeding type suits for flexo printing,slotting die-cutting, stitching machine, largely overcome the space limit, increase productivity and decrease manpower. 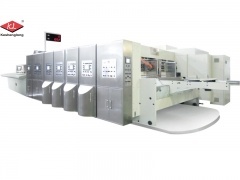 Carton machine for flexo printer slotter die cutter with CNC control system.